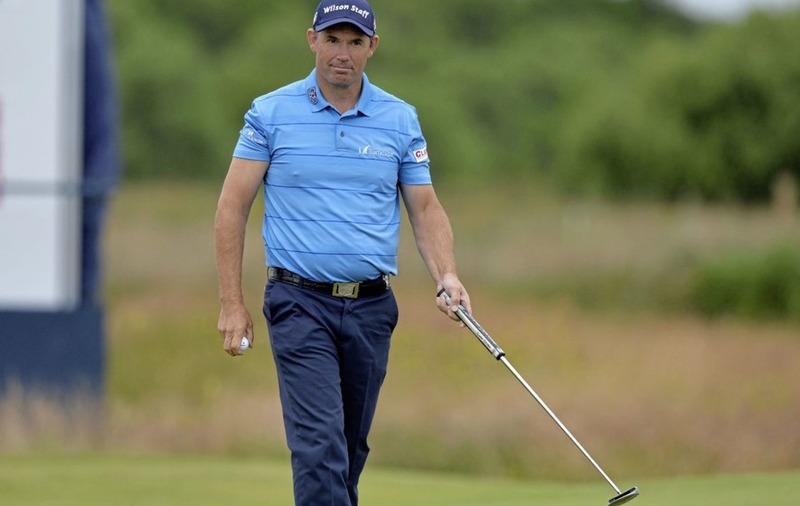 A RELAXED Padraig Harrington does not believe a fourth major title would alter his golfing legacy, but concedes a third Open victory next week might lead to a hasty change of heart. The prospects of that happening shortened considerably after the 45-year-old claimed a share of the halfway lead in the £5.4million Aberdeen Asset Management Scottish Open. Harrington swapped the drama of his opening 67 for a "boring" and bogey-free 68 to finish nine-under par, a total matched by England's Callum Shinkwin and Germany's Alexander Knappe. Ian Poulter, who finished second to Harrington in the 2008 Open Championship, and Australia's Andrew Dodt were a shot off the lead following matching rounds of 69, with 2015 champion Rickie Fowler, 2007 winner Gregory Havret and Belgium's Nicolas Colsaerts a further stroke adrift. 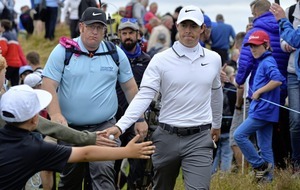 Rory McIlroy suffered his second successive missed cut, only adding a 71 to his opening 74 to sit one-over par overall and two shots off the cut mark. Graeme McDowell, though, was right on the cut mark after a 68 yesterday left him one-under, two shots behind Paul Dunne, who had a disappointing day with a 73. Darren Clarke was forced to withdraw before the start of the second round. Harrington defeated Sergio Garcia in a play-off to win the Open at Carnoustie in 2007 and defended the title at Royal Birkdale the following year, before winning the US PGA a month later. The Open returns to Birkdale next week and Harrington is relaxed about the prospect of getting his hands on the Claret Jug for the third time. "Anything that comes my way from here would be a bonus," said Harrington, who has played just nine events in 2017 and underwent surgery on a trapped nerve in his neck in March. "I will win tournaments, that's for sure, but I'm not turning up trying to change my legacy. I've kind of come to the conclusion that I've pretty much done what I've done in the game of golf. "I enjoy being out here. Why bother beating myself up over it? If I win another major, not a huge deal. If you told me I was going to win another six majors, well, okay, that might be a difference. "But it's not going to change me and there's no point in me fighting it at this stage. I'm enjoying what I'm doing and kind of letting it happen. "I'd love to win another major and if I did win next week I'd sit here on Sunday and tell you all the reasons why it does make a difference to my career! But at the moment, I'm going to tell you I found myself in a better place by deflecting a little bit in that sense." Victory in the 2008 US PGA proved to be Harrington's last on a major worldwide tour for seven years and his win at the 2015 Honda Classic came as the Dubliner was about to drop out of the world's top 300. He had drifted back to 153rd in the rankings before winning the Portugal Masters in October 2016, but believes any future wins will not come as such a surprise. "I can't do it on demand," added Harrington, whose only practice round came in the pre-tournament pro-am after he missed his flight on Monday due to traffic. "I can't tell you it's going to happen next week, but it will happen. "But I don't think they will be as much out of the blue going forward. I will have tournaments where I shoot good rounds like this and get into the lead. It's part of the ups and downs and I'll just patiently wait for the ups." Shinkwin has also had to be patient this season after a run of six missed cuts in succession was followed by two disqualifications. The first came in the BMW PGA Championship after he signed for an incorrect score and the second he called on himself in the Nordea Masters after noticing he had played with a club damaged in anger the previous day. "It was very much a sign of the frustration that was building," admitted Shinkwin, who beat Matt Fitzpatrick to win the English Amateur title in 2013 and played alongside the three-time European Tour winner in the Walker Cup later that year. 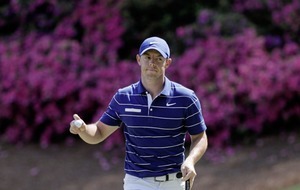 "It was a lob wedge after an easy chip shot that got slammed into the bag. 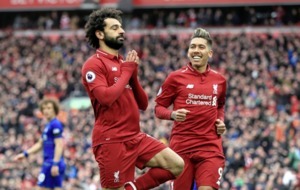 Fortunately I was working hard with my coach Mike Walker in France and managed to find an extra piece to the puzzle to try and fix up my season and it's worked so far."